Why are Some Pages "Intentionally Left Blank" and Why Do They Say This? 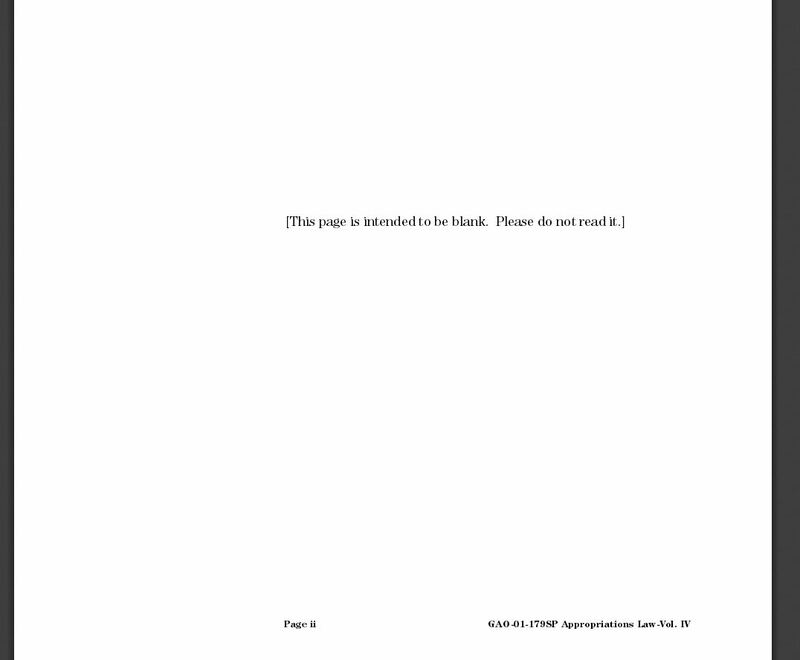 Gabino asks: Why do they bother putting the text This Page Intentionally Blank on blank pages? It’s easy to dismiss the phrase, “This page is intentionally left blank” and its usage as an example of bureaucracy gone mad, but it and the blank pages themselves are actually there for good reason. To begin with, the practise of marking intentionally blank pages, known as vacat pages, some form of “intentionally blank” goes all the way back to the dawn of automated printing itself, where mistakes in printing were relatively common. Like today, the main purpose of marking these pages in this way was simply to make sure people knew that the blank page wasn’t a result of a printing error. Given this, it’s no surprise that you’ll almost always only see this text on pages that you might otherwise think shouldn’t be blank given their position in the written work. 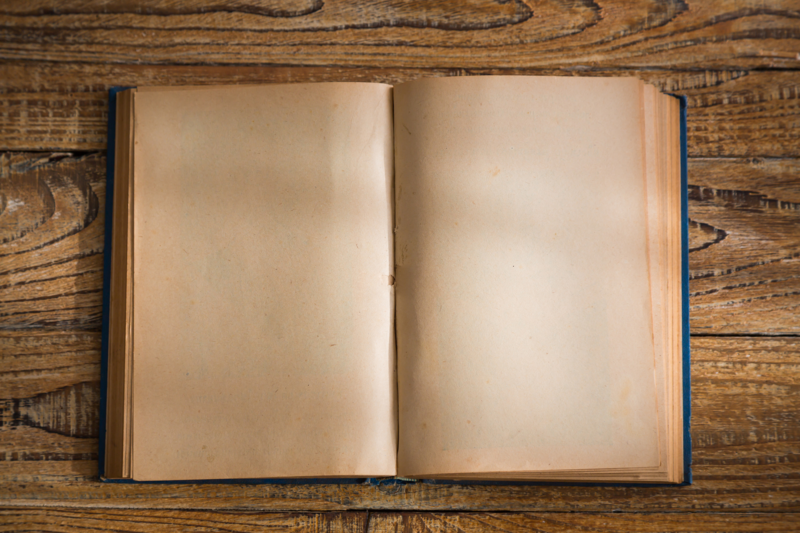 This brings us around to the much more interesting question of why any pages are left blank in the first place. After all, this is a waste of paper and potentially a lot of money given the print volume of some tests, pamphlets, books, etc. As for the first on that list, in timed tests an intentionally blank page is often used as a shield of sorts to stop wily students from trying to read the next section’s questions before they’re supposed to. To make sure no student is confused about a random blank page in their test, they simply indicate on the page some form of the somewhat contradictory statement, “This page is intentionally left blank”. Alternatively, they might put something like “Stop Here” instead, so the student knows to wait until the next timed section starts and that the page is mostly blank for a reason. Another reason to include a blank page, particularly in certain official documents, is to avoid ink from a pen potentially bleeding through to another section of the document. This is also one of the reasons you may sometimes encounter otherwise blank pages saying something like “Do not write anything on this page”. In both cases, the page is there simply to prevent processing errors due to ink-bleed. Blank pages in books and other bound works, on the other hand, are generally there because these works are often created by folding single, large sheets of paper in very specific ways and binding them all together. This group of pages is known as a “signature” and might include something like 4, 8, 16, or 32 pages out of a single large sheet. 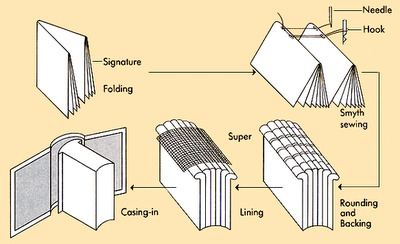 Regardless of how the paper is folded, the end result is going to be a book or booklet with an even number of pages. If you look carefully at the spine of a book you have lying around, you may even be able to see this sort of grouping of pages if you let it flair open a bit. So, for example, if the content of the book fills 299 pages, the layout artist might choose a signature of 4- thus a minimum of 75 folded sheets making up 300 total pages, including one blank page. On the somewhat extreme end, if the signature comprises 32 pages (so 10 folded sheets making up 320 pages), you’ll have a whopping 21 blank pages, making this signature likely a poor choice here, though there still might be financial or technical reasons to use it anyway. Of course, savvy editors or layout artists tend to try to tweak formatting to help the book fit the chosen signature while minimizing needed pages. But inevitably there’s going to be times where nothing can be done and there will be a blank page or pages. In this case, they might resort to tricks such as putting advertisements about some of the other works by the author or publisher in. Alternatively, they might put in a short biography on the author, rather than have it somewhere on the cover. Or, if necessary, they might move such a biography to the cover to save a page within the book. Alternatively, they might indicate the blank page(s) are for the reader to take notes, particularly in works like textbooks. All of these tricks are basically ways of avoiding a random blank page, or in some cases needing to put something like “This page is intentionally left blank” in the book. Nevertheless, you’ll still occasionally see this text in some bound works, again in these cases generally only put there in cases where the editor in question thinks the reader might think the page was not supposed to be blank. 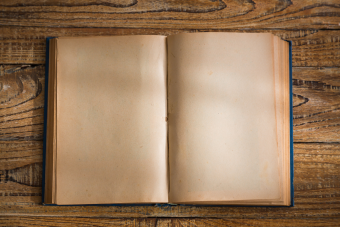 So, for instance, you may have noticed that many books have a blank page at the start or end or both; this is a safe bet not to confuse anyone, so is a handy way to mask that the book’s content didn’t quite fit the signature without needing to put “This page intentionally left blank”. Why do they leave the page before a story blank? I work with a lot of classified documents. Pages are numbered sequentially and in most of them there are several blank pages with the “this page intentionally blank” on it so people don’t think there are pages missing. That would be bad when dealing with classified.